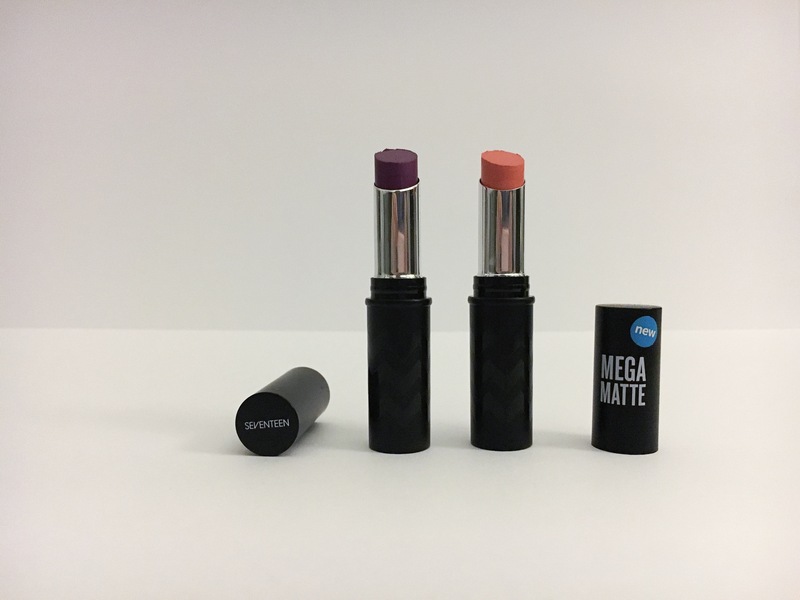 If you LOVE matte lipsticks then you will love Seventeen’s new Mega Matte lipstick range. Seventeen very kindly sent me a couple of their new lipsticks to try out and I was really excited to try them out and review them for you guys. The two shades they sent me were ‘orange you gorgeous’ which is a bright, pigmented orange and is going to look really nice in the summer. The second lipstick is ‘violet summer’ which is a very vibrant purple. 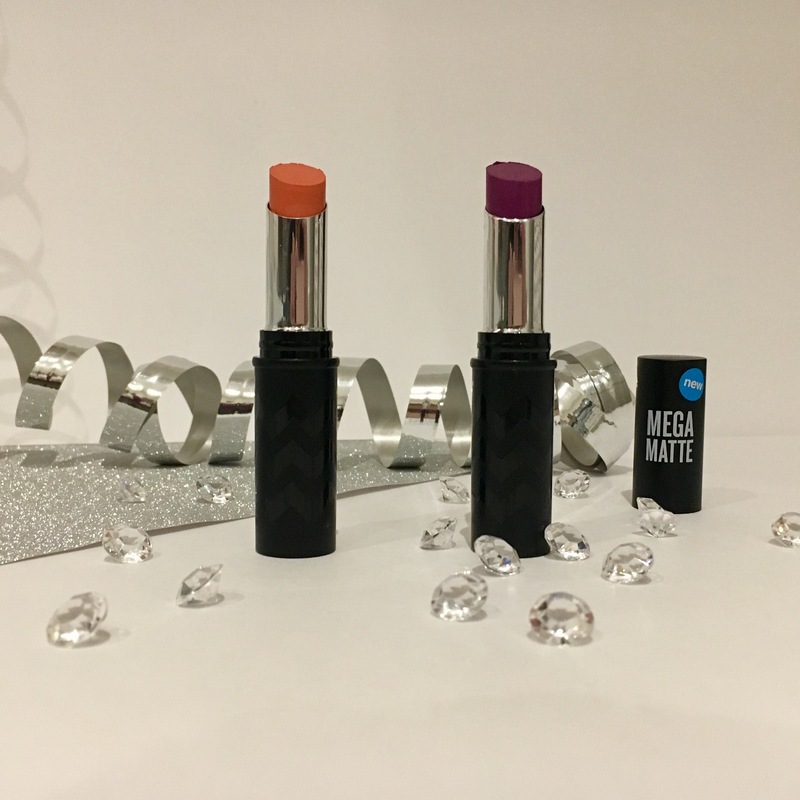 They are probably not colours that I would normally choose, as I tend to always go for the same shades of lipsticks and they are normally neutral, so it was a really nice change for me. The formula of these lipsticks is really nice, it is non-drying which is something that I always look for in matte lipsticks. They are very pigmented colours so are definitely ideal for creating a statement make up look! They are £4.49 each which is really affordable and at the moment Boots have a buy one get the second half price on selected Seventeen cosmetics and these lipsticks are included. These are a few little tips on how to apply matte lipsticks. The first thing I do is to exfoliate my lips to make sure there is no dry skin and to make a smooth base for the lipstick, after exfoliating I always moisturise using a lip balm and let that dry before I apply my lipstick. The next thing I do is to apply one coat of lipstick and then use a bit of tissue to blot any excess then let that dry and apply one more layer to achieve a bold long lasting look. 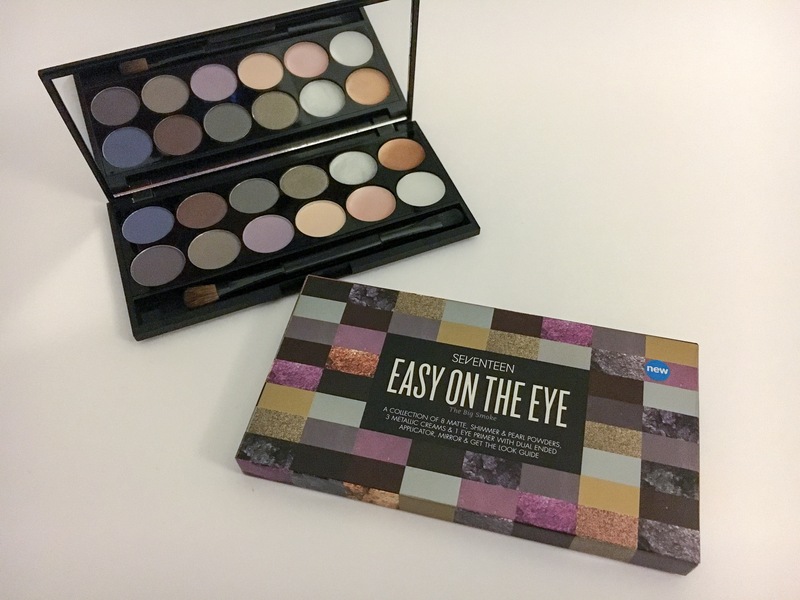 I was also lucky enough to receive the ‘easy on the eye’ eyeshadow palette. I have become obsessed with eyeshadows recently so I was excited to try this palette. There are 11 eyeshadows and 1 primer. Out of the 11 eyeshadows there are 3 creams and a variety of matte, shimmer and pearl powders. The colours that are included in this palette cream a perfect smokey eye which is ideal for this time of year. Another aspect of this palette is the step by step guide that is comes with. I found this so helpful and it is great if you are just starting out with eyeshadows. 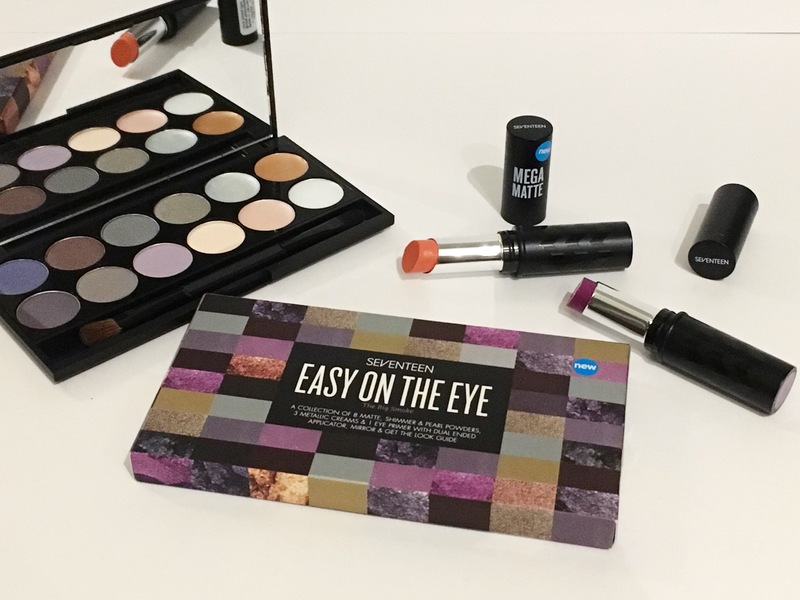 This palette is only £7.99 from Boots and is also included in the buy one get the second half price so you definitely can’t go wrong with these products. Are there any Seventeen products that you are loving at the moment, let me know in the comments below. That palette is so pretty!! That palette looks amazing, especially for the price! I think the lipsticks will be next on my list of things to purchase! The violet lipstick looks such a beautiful colour, and great for autumn/winter as well. And I’m definitely going to be eyeing up the eyeshadows when I next go to boots! The wife noticed your blog and appreciates the neat content you have here. We would like to encourage you to keep writing and never abandon this blog. If you ever decide you’d like a mobile app version of your blog, we would love to help. I appreciate the hard work you have put into this blog and wish you all future success in business and in life.